In the first year of a two-year partnership between RNIB and Yorkshire’s local fire service, over 3,000 older people have benefited from eye health advice thanks to a project aimed to help identify people with sight loss through routine home fire checks. In South Yorkshire alone, an estimated 30,000 people live with sight loss, but only 12 per cent are known to access local sight support services. The Optimeyes project has seen six sight loss charities and two Fire and Rescue Services giving eye health advice to older people in their homes. With eye health training and guidance from RNIB, people are receiving practical information and emotional support to help them live more independently at home. Over 150 people with sight loss have received support. Pete Jones, Partnership Officer from South Yorkshire Fire and Rescue Service (SYFRS) explained, “We understand that an older person with sight loss may benefit from specialist safety advice. “We want to make sure blind and partially sighted people are as safe as possible in their homes. “We are now aware of the range of services on offer from local sight loss charities through our partnership with RNIB and know where we can refer people for support”. Staff at the South and North Yorkshire Fire and Rescue Service are trained to recognise when an older person is not being properly supported for a sight condition during their routine home ‘safe and well’ visits. The fire service often visit people at home who are not able to get out and access services. During safe and well visits, as well as checking and fitting smoke alarms and providing advice for preventing fires, staff also check older peoples’ homes for fall risks, preventing loneliness and now eye health. Claire Cawkwell, Optimeyes Project Manager at RNIB said: “Working in partnership with the South and North Yorkshire Fire and Rescue Services’ means we have created a support network which identifies people who are unable to access services of their own accord or who are simply unaware that these services exist for them to use. She explained: “Fire and rescue staff are not trained to diagnose sight conditions but can stress the importance of expert eye examinations. If it’s felt someone could benefit from eye health information, support or advice, staff refer individuals onto local sight loss charities. 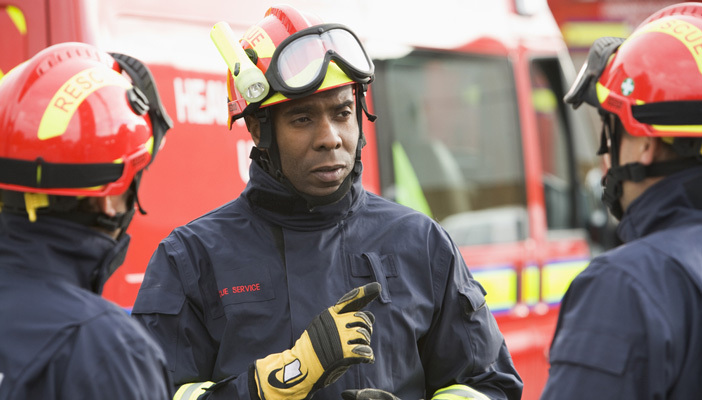 North and South Fire and Rescue Service are just two of the organisations RNIB is working with to help raise awareness for eye health in Yorkshire. Charities involved in providing support include: Selby District Vision, Sight Support Ryedale, South Lincolnshire Blind Society and Hull and East Riding Institute for the Blind, Sheffield Royal Society for the Blind and York Blind and Partially Sighted Society. Optimeyes has been funded by The Big Lottery Reaching Communities Fund and will run until March 2017. The project is offering training to organisations with frontline and volunteering staff in Yorkshire and Lincolnshire who want to learn more about spotting the signs of sight loss conditions. For more information about how you can receive training, or to find out more, please contact the Optimeyes Project Manager, Claire Cawkwell, on 07809 100618 or email, [email protected], or call the regional co-ordinator at York Blind and Partially Sighted Society on 01904 731124. RNIB has a range of information guides which comes in three useful series - The Understanding series has been produced for people who want to understand more about their eye condition; the Starting out series is for people who have recently been diagnosed with an eye condition and need more information on adapting their day to day life and the Confident living series is for people wanting to make the most out of living with sight loss.